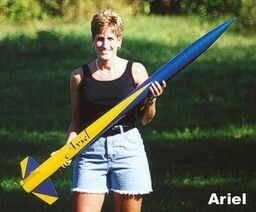 This sleek rocket stands 58" tall and weighs approximately 51 oz. Its stable design will allow you to lift a medium sized payload to many thousands of feet using G through J motors! Comes with a "Kwik-Switch" motor mount.